At a first glance on a map of Norway, Molde seems to have turned its back on one of its nearest neighbors: the Atlantic Ocean. Known as the “City of Roses,” the town is built on the south side of an isthmus. While the waves of the North Atlantic wash the northern shores of the same neck of land, the town of Molde turns inward, towards mainland Norway. But Molde is not a town with introvert tendencies. You need only consider the fact that the Molde International Jazz Festival has managed to attract some of the best known musicians in the world since its start in 1961. Miles Davis, Stevie Wonder, Dexter Gordon, Van Morrison, Oscar Peterson, Paul Simon, Dizzy Gillespie and Bob Dylan are some of the stars that have stopped by in Molde. Visitors from near and afar have followed suit. The bombs that dropped during World War II changed the character of Molde, which today gives a modern impression. Even before the bombings in 1940, the town had changed following a fire in 1916 when 225 houses burned down. Although he was a regular visitor in the town, Kaiser Wilhelm II did not come to Molde’s rescue following the fire in 1916. Twelve years earlier, the German emperor had been quick to help nearby Ålesund financially after the great fire in 1904. No, no one could argue that the town of Molde turns its back on the outside world. Far from it. Somehow contradicting the map, the Atlantic Ocean is actually one of the main attractions of the region. Not least due to the Atlantic Road, which is probably one of the most fascinating roads to be experienced anywhere in the world (see below under Do Not Miss). With 24,000 inhabitants, Molde is the administrative center of a region that counts some 250,000 inhabitants. Cruise ships sometimes combine a call in Molde with one in the nearby town of Åndalsnes. Uniquely located close to the Romsdal Alps and the Rauma Railway (see below), Åndalsnes provides a different perspective on a fascinating region. Cruise ships have had Molde and the nearby town of Åndalsnes on the map since 1882. Passengers disembark directly in the town centers, providing easy access for anyone who wants to explore independently. The Molde panorama. It is said that it is possible to see 222 mountain peaks when standing at the lookout point of Varden just north of Molde. Why not take the opportunity to count them all? The distance from Molde to Varden is 2.8 miles/4.5 kilometers. The hip-hop artist Missy Elliot was one of the stars playing at The Molde International Jazz Festival in 2010. Many other stars have visited the festival over the years since it was started in 1961. The jazz event is a member of IJFO, which is an association of the 15 largest jazz festivals in the world. In 2005, The Atlantic Road was voted Norway’s construction of the century. Completed in 1989, the road that borders on the ocean has also been recognized outside Norway. The Guardian, a UK newspaper, put the Norwegian road in first place on its list of the world’s best road trips. The Mardalsfossen waterfall is the second highest waterfall in Norway, with its single drop of 820 feet/250 meters (according to Statistics Norway). Sources disagree over the actual height, though, with some sources claiming that the waterfall is even higher. It should nonetheless be safe to say that this is one of the very highest waterfalls in Norway. The distance from Molde is 61.5 miles/99 kilometers. Trollveggen (The Troll Wall) is a steep mountainside featuring the highest overhang of any cliff in Europe. A well-known destination for mountaineers from all over the world, the Trollveggen is some 5,577 feet/1,700 meters high. The distance from Molde is 42 miles/68 kilometers. From Åndalsnes, the trip is shorter: 7 miles (11.3 kilometers). When in Åndalsnes, consider taking the Raumabanen (The Rauma Railway) to the station of Bjorli. The trip takes an hour as you travel from the fjord to the mountaintop. On the way, you will have a spectacular view of the Trollveggen (see above). Just south of Åndalsnes, Trollstigen (the Troll Path) winds its way up a steep mountainside. The public road with its many hairpin bends is a dramatic example of the challenges faced by the Norwegians when developing the country’s infrastructure. Situated on the island of Hjertøya, close to Molde, The Fisheries Museum is built in the form of a small fishing village. 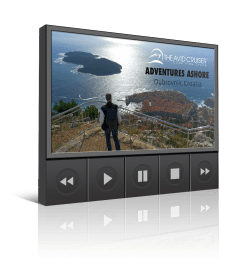 When you’ve experienced everything that the museum has to offer in terms of boats and fishing equipment, stay for a while and experience the island itself. Hjertøya is considered a great recreational area, and it is possible to rent rowing boats, fish or go for a swim in the fjord. Romsdal’s Outdoor Museum is centrally located in Molde. The museum consists of some 35 buildings, typical examples of houses built in the region in the 17th through the 20th century. The museum includes the so-called Bygata (town street), which aims to recreate Molde the way it might have looked before the great fire of 1916 and the bombings that took place during the Second World War (in 1940). In Isfjorden, not far from Åndalsnes, you will find the Museum of Clothing. Production of ready-made clothing started here as early as the 1860s. As from then, the surrounding area has been referred to as the clothes closet of Norway. The distance from Åndalsnes to Isfjorden is 4.4 miles/7 kilometers. Hiking along the Varden path. After going by coach to the Varden viewpoint (see above under Do Not Miss), walk along the wooded path to central Molde and/or the Romsdal Outdoor Museum. It is also possible to take in the highlights of Molde during a coach tour, including the Romsdal Outdoor Museum, the Molde Church, and the Varden viewpoint. 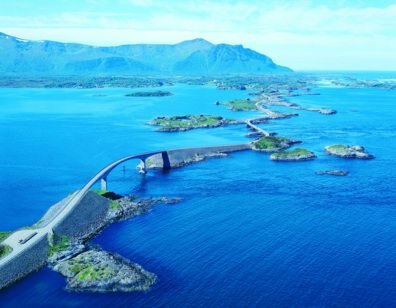 The Atlantic Road (see above under Do Not Miss), the impressive road that borders on the sea. Some shore excursions include a crossing by means of a Viking ship replica. Shore excursions to Trollveggen and Trollstigen (see above under Do Not Miss) can include both a trip by local boat from Molde (if that is your starting point, as opposed to Åndalsnes) and a trip by coach. Trondheim, Norway’s fourth largest city, is 137 miles/221 kilometers away. The distance to the capital city of Oslo is 312 miles/502 kilometers. 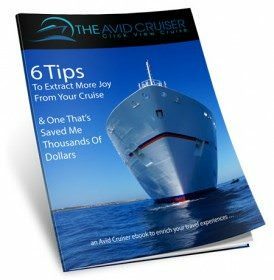 Avid Cruiser Posts, Photographs and Videos Featuring Molde, Åndalsnes.